Manchester United’s season has just started but it already looks like Jose Mourinho’s typical third season which ends in miserable failure and him leaving the club. It is clear that all is not well with the manager and the board at Manchester United with Mourinho not being backed in the transfer market. With rumours of player discontent, Mourinho is in for a very difficult season and it is very unlikely that he will be in charge when the next season starts. So, we decide to take a look at 4 potential replacements for the Manchester United job. Zidane has been heavily linked to the United job in the recent few days and looks set to be the favourite to replace Mourinho if the Portuguese coach is sacked during the season. Although Zidane has had extraordinary success at Real Madrid, many claim that it was a combination of luck and some great players single-handedly deciding games. Real’s dismal last season in the league surely should raise doubts about Zidane’s ability and Manchester United fans would surely prefer a more attacking coach after having to watch defensive and boring football ever since Ferguson left. 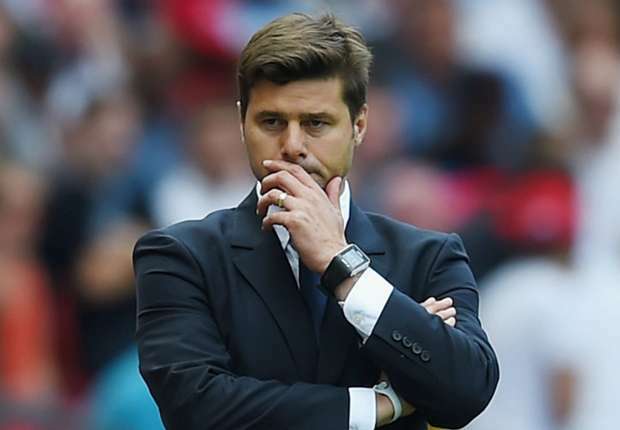 Another manager who has been extensively linked to the United job, Pochettino seems like he is the perfect manager for the job. His emphasis on attacking football and his willingness to give chances to the young players at the club perfectly match with United’s tradition and history. Although managers like Pep Guardiola, Jurgen Klopp and Jose Mourinho himself are one everybody’s best manager lists, surely Diego Simeone’s achievements at Atletico Madrid puts him right at the top. Only issue Manchester United might have with Simeone is with his pragmatic approach. One of the most talented young coaches in Europe, Tuchel has just joined PSG as their manager. United might find it tough to lure him away but the PSG job requires Tuchel to be successful in the Champions League and if he doesn’t manage it, PSG themselves might let him go.